GUMMY SMILE OR ‘GINGIVAL SMILE’ is not a pathology but is similar to a real imperfection and is experienced by patients as such. 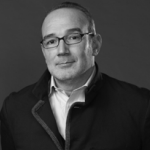 Practitioners must consider how modern dentistry should take into account not only the functional but also the aesthetic aspect of the smile. 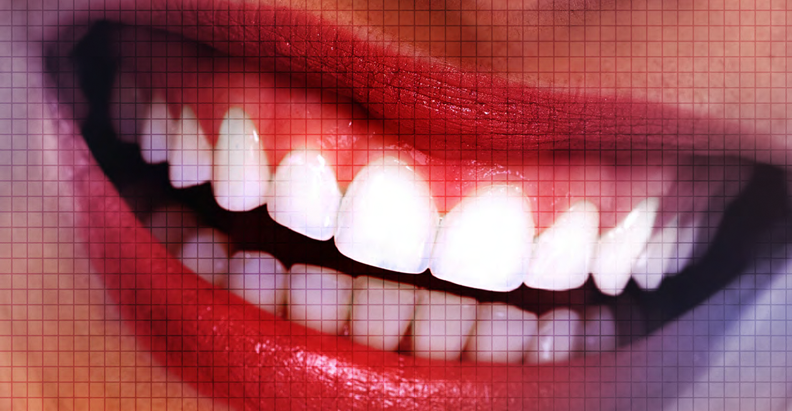 The pursuit of aesthetic excellence has become a major goal in dental and orthodontic treatment. The beauty of the smile is not only constituted by the shape, position, and size of the teeth but also based on the characteristics of the gingival tissue and conformation of the lips, which should be as harmonious as the teeth1. With gummy smile, particularly during the mimicry of the smile, there is a disproportion between the gum and the visible part of the tooth to the disadvantage of the latter2. This leads to patients becoming discouraged to smile or attempting to control their own mimicry, triggering situations in which a spontaneous and natural gesture becomes a source of anxiety and tension. How to treat a gummy smile? Laser (ablative) approach with photo-thermolysis of excess gingival mucosa. These traditional approaches, although valid, are not free from risks, such as asymmetries (surgery and botulism) and dental pulp thermal shock (traditional laser)5. Very high patient compliance as an intervention with Plexr Plus is fast, effective and results in rapid healing. The diffusion of plasma exeresis technology has been growing over recent years as an alternative to surgery especially in aesthetic medicine (e.g. non-surgical blepharoplasty, wrinkles, and skin lesions). Plexr is the first medical device that uses this technology for these purposes. The plasma generation is similar to a micro-lightning bolt that acts directly on the epidermis and oral connective tissue. Before sublimating, the corneocytes transmit a selective quantity of energy in the form of heat, into the correct depth of tissue, without irradiation (laser/light) or electric shock (radio-scalpel/current)6. Moreover, it does not bear any risk of scarring. Plexr (GMV, Rome, Italy) was the first plasma medical device for aesthetic medicine. Plexr Plus is the technological evolution of the first device and the author has been using the technology since 2014. The study reported a retrospective data review from patients treated between September 2016 and June 2017. Inclusion criteria: suitable patients had to be adults, both male and female, with 2 mm or more of gingival exposure when smiling. Prior to any treatment, patients had to sign written informed consent. Exclusion criteria: patients under anticoagulant treatment or drugs that increase gingival hypertrophy (e.g. nifedipine, cyclosporine) or under therapy for an oral disease or suffering from epilepsy, pregnant or breastfeeding. The procedure was carried out on an outpatient basis, after local analgesia in the form of a spray numbing to the gingiva or, if necessary, superficial injection of anaesthesia (e.g. mepivacaine). Plexr Plus was the device used for the treatment. It is designed with three different handpieces: white (lower intensity), green (medium intensity), red (high intensity). The output of each handpiece is optimised so that an ad-hoc signal can be performed in function of the specific treatment; in fact, each handpiece has been conceived to generate a specific output power: 0.7 W, 1 W, 2 W. The choice of handpiece is strictly dependent on the treatment the practitioner is going to perform. However, factors that can furtherly influence the handpiece choice are the experience of the doctor and the severity of the pathology. Plexr is designed to correctly reproduce the necessary physical dimensions observed in several scientific studies7–8. Producing a general and incorrect signal to generate plasma is not sufficient and also dangerous. The focused micro-plasma beam, created by the ionisation of the gases contained in the air, sublimates the stratum corneum of the epidermal tissue where the spot is performed, but the ionic flow doesn’t spread to deeper tissue. The basal lamina is preserved and there is no dermal or electrical damage6–8. An initial consultation was scheduled in order to provide the patient with all the information concerning the procedure, obtain the signed consent, and to check that there were no contraindications. During this consultation, an oral examination to measure and probe gum exposure was carried out by the practitioner and photos were taken for reference. A follow-up consultation was planned 1 week later to evaluate the healing process and a final control visit took place 2 months after the procedure to assess the treatment outcome. The global efficacy of Plexr’s gingivectomy was assessed through the measurable reduction of the gingiva and teeth/gingival exposure ratio (main criteria), comparing photographs taken before and after the procedure, and patient satisfaction regarding the treatment. As any medical act, some transient local reactions may be observed. However, recovery and wound healing are usually very fast, from 4 to 7 days after the procedure for complete tissue healing. Patients were strongly advised to use an alcohol-free9 mouth rinse for oral and dental daily care, twice a day in order to have good comprehensive oral hygiene. After adequate clinical observation of the patient in the static and dynamic phase (smile), eventually evaluating with X-ray and periodontal probing to delimit the area of intervention, it is possible to proceed with the anaesthetic spray/superficial infiltration anaesthesia in the intervention region to ensure absolute comfort for the patient. Using the red handpiece (high intensity) in the continuous mode, the practitioner generates plasma and uniformly sprays the area to treat. In this manner, the practitioner delineates, gently, the new gingival contour desired, sublimating the full-thickness adherent gingiva. Eventually, to refine the preparation margins, it is possible to use the white handpiece (lower intensity). Polish and smooth the margins of the new gingival swelling and teeth with prophylaxis caps and adequate polishing paste.Prescribe mouthwash with chlorhexidine without alcohol twice daily for a week, reassuring the patient that the gingiva will be healed within 4–7 days.In addition, the author strongly suggests the patient stop smoking due to its detrimental effect on gingival wound healing9–10. Management of contraindicationsIf correctly used the Plexr treatment is very superficial and progressive, the thermal damage does not spread to the surrounding tissue as it does with laser procedures and does not leave a scar or tissue dehiscences as can occur with traditional surgical techniques. Gingival hypertrophy induced by drugs or pathologies. In this case, the procedure can be repeated, and Plexr can become a therapy for drug-induced hyperplasia. Plasma exeresis with Plexr is already widely used around the world and different fields of application have been studied. This retrospective study confirmed the efficacy of the technique with the device in dentistry and for treatment of the gummy smile. In the use of this technique on the skin, plasma is obtained through the excitement of gas by supplying electrical energy, which can then be applied to the skin without causing damage, as demonstrated with histological and confocal microscopy exams6–8. The same results can also be achieved on the oral mucosa and gingival tissues, as the device generates a very precise and fine (1 mm2) ‘bolt’ that vaporises gingiva without heating the surrounding tissue. Plexr is a valid alternative to lasers and electrosurgical units, and its main advantages for this treatment are an absence of surgical invasiveness, no risk of post-treatment asymmetry, no risk of iatrogenic bone/tooth damage, bleeding or suture, very high patient compliance. This research is not exhaustive, due to the limited number of patients enrolled in the study and the limited clinical literature in this field with this new technology. So these results should be supported by more extensive and prospective studies with a higher number of cases.Nevertheless, this new therapeutic approach seems to be easy to perform and without complications, it should be performed by trained and qualified medical doctors to avoid any significant side effects. The author continues to experiment and offer this treatment with Plexr Plus to patients, who suffer with gummy smile because it is an efficacious and safe alternative to surgery, offering permanent results. The results can also be optimized, if required, with the integration of other techniques (e.g lip filler or Botox). Pedron IG, Mangano A. Gummy Smile Correction Using Botulinum Toxin With Respective Gingival Surgery. J Dent (Shiraz). 2018 Sep;19(3):248-252. 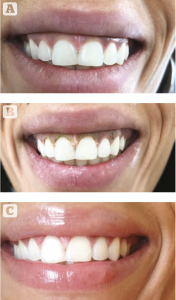 Diaspro A, Cavallini M, Sito G, Piersini P. Gummy Smile Treatment: Proposal for a Novel Corrective Technique and a Review of the Literature. Aesthet Surg J. 2018 Jul 13. doi: 10.1093/asj/sjy174. Ezquerra F, Berrazueta MJ, Ruiz-Capillas A, Arregui JS. New approach to the gummy smile Plast Reconstr Surg. 1999 Sep;104(4):1143-50; discussion 1151-2. Poggi P, Rodriguez y Baena R, Rizzo S, Rota MT. Mouthrinses with alcohol: cytotoxic effects on human gingival fibroblasts in vitro. J Periodontol. 2003 May;74(5):623-9.